Thank you for visiting my website. You are probably here because you are interested in receiving extra help for your beloved pets. First off, let me commend you on your willingness to make sure your pet has the best possible life he/she can have. Your pet will be forever grateful for your kindness in realizing that sometimes you need help in giving your pet all the love and attention he/she needs. Tara’s Dog Services is here to help pet owners in Hawaii with services that include dog walking, bathing, in-house visits, and more. It’s also important to note that Tara’s Dog Services not only caters to dogs, but to many other pets as well, such as cats and fish. I understand many people have their reasons for not being able to give their pet as much attention as they and their pet would like throughout the day. That is where Tara’s Dog Services come in. Being a dog owner myself, I know how precious pets are to each family. Allow a fellow animal lover and owner to help you take care of your pet when you are unavailable. 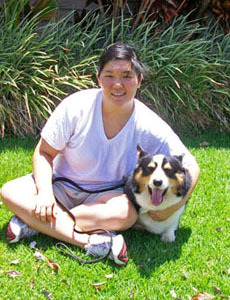 Tara’s Dog Services makes your life easier and makes your dog’s life happier one walk at a time since 2009. Home | About Myself | Contact | Links | Testimonials | Why Hire TDS?